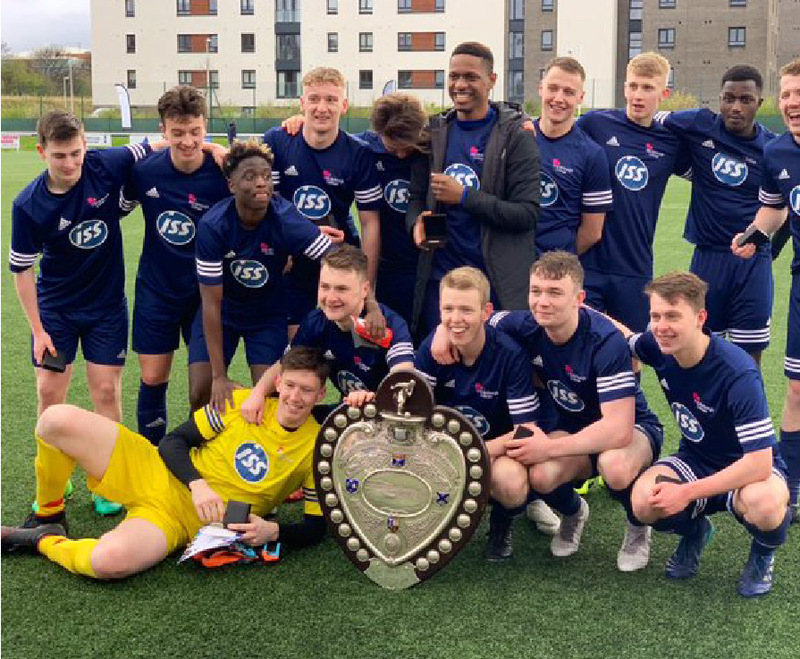 History was made yesterday afternoon when Edinburgh College beat the University of Edinburgh in a gripping final to the annual competition for the Queen’s Park Shield. The University took the lead with a low free kick, but the College hit back swiftly with a swirling set-piece goal of its own, leaving the tie poised and the scores level at half time. The University emerged from the break the stronger team and were rewarded with a well taken second goal. Just as the University looked to be comfortably seeing the game out, the College equalised with a thunderous header from a corner. After 90 minutes, it took a nail-biting penalty shoot out to decide who would lift the trophy, with the honours finally going to Edinburgh College. The drama on the field lived up to the historic significance of the event. Yesterday marked the first ever win for a college team in the 92-year history of a competition that originally only included Scotland’s four ancient universities. Nowadays the Queens Park Shield is much more widely contested and the competition is open to every university and college in Scotland. Edinburgh College’s achievement also represents a watershed in the bid by SFC-funded Scottish Student Sport (SSS) to create greater equality of sporting opportunity between colleges and universities. To support this ambition, last year SFC announced a new four-year investment in SSS of £465,000. As well as organising cross-sector competitions such as the Queens Park Shield, Scottish Student Sport has been helping to create a level playing field by setting up new college sport structures. Together with SSS’s encouragement of partnerships with universities, this is creating a sports environment in colleges that is both inclusive and similar in quality to that enjoyed by university students.